This introduction aims to offer a preliminary reading to the collection of essays presented in the volume. It describes how the Great Depression of the 1930s was interpreted by the group of young Italian economists connected with the Catholic University of Milan and its periodical the Rivista Internazionale di Scienze Sociali. We shall focus on their contribution to the theoretical debate around the causes of the Depression and, more generally to business cycle theory. Moreover, specific attention will be devoted to these economists’ views on the proper measures capable of fostering recovery, and to their assessment of the policies enacted by the major foreign countries. 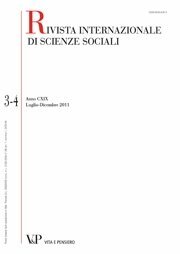 We shall see how during the early 1930s the Rivista Internazionale di Scienze Sociali represented an open window on the international scene capable of offering original interpretations of the changes that were occurring in economic theory and policy. Key words: Italian Economic Thought; Great Depression; Business Cycle Theory; Institutionalism; New Deal. JEL Classification: B25; B21; B22; B31. The article is about the phenomenon of investment expansion in the U.S. and it is the first part of a wider work the author completed with a second article. Here Pitigliani examines the most recent versions of the classical theory of international trade, focusing on the effects of foreign loans on the balance of payments, on exchange rates and interest rates differentials. The last are depicted as the main factor fostering the attainment of balance-of-payments equilibrium. Protectionist arguments against foreign lending are compared to liberal arguments with the balance clearly in favor of the latter. Key words: U.S. capitalist expansion; capital flows. JEL Classification: B2, B26, F5. The second part of Pitigliani’s essay examines the phenomenon of investment trusts, which guarantee higher returns to small savers and the spreading of saving to the lower classes, a sort of ‘popularization’ of wealth answering the need for a conciliation between capital and labor. Among the merits of American capitalism, the author highlights its ability in contrasting industrial trusts by means of effective legislation, and also the widespread investments in public companies by private citizens. The possible risks of American financial capitalism derive from the scarcer competence and tradition of managers, and the higher speculative attitude of Americans if compared to Europeans. A much more substantial work on these themes and on the comparison with Italy would later be published by Pitigliani (The Italian Corporative State, King and Son, London, 1933). Key words: North-American banking system; banking flows; investment trust; popularization of wealth. The article discusses Schumpeter’s theses about the entrepreneur’s role and his market power. Schumpeter’s theory of profit and business enterprise is positively surveyed. Limits are set to the possibility of bank credit creation and of forced saving to provide entrepreneurs with an unbounded command over production. Finally, D. admits that, from a theoretical point of view, it would be possible to foster a continuous expansion of investments financed only by pure credit, either under a fiat money system or thanks to effective international coordination under a fixed exchange rates regime. Key words: J.A. Schumpeter; entrepreneurial function; banking system and entrepreneurship. JEL Classification: B2, B31, E3. The definition of capitalism is the focus of a wide-ranging debate raised by W. Sombart. The author indicates his own definition according to which capitalism is a system characterized by ‘‘free choice of activity for economic subjects; private property of the means of production competition’’. This definition prescinds from the concepts of capital and waged work, and while placing itself in a field that is rather far from Marxism yet does not prevent Vito from acknowledging the ongoing substantial changes of the system due to the process of industrial concentration. The author discusses the positions expressed on this issue by some coeval economists. Vito denies that such phenomena as trade unions, industrial concentration, state intervention, business forecasts and the economic crisis itself, may prelude to the fall of capitalism or to its transformation into a socialist system. In his opinion, many of the changes occurring in modern capitalism may help to make it more socially acceptable and equitable. Key words: definition of capitalism; industrial concentration; K. Marx; W. Sombart; J.B. Clark, J.A. Schumpeter, R. Bachi. JEL Classification: B2, B24, B31, D4. The article discusses Keynes’s proposal contained in ‘‘The Question of High Wages’’ (1930) and Pagni’s criticism against it. In the article there emerges the author’s aversion to Pagni’s thesis: wage rises reduce firms’ self-financing margins, and, more in general, the savings of entrepreneurs whence come investment and, consequently, employment. Vito is not completely against high wages, but only if they are within the limits set by economic law: ‘‘Limits are set on social policy; that believing to be allowed to cross these limits undermines the whole social economy and in particular the working class’’. Key words: theory of wages; J.M. Keynes; C. Pagni; wages and social policy. JEL Classification: B2, B31, E12, E24. The article, written shortly after the departure of the sterling pound from the Gold Standard in September 1931, gives an extremely critical viewpoint on British monetary and economic policies in the Twenties, substantially agreeing with the views expressed by Keynes during the previous decade. According to the author, the return of the pound to pre-war gold parity in 1925 was neither a necessary nor a desirable step, given the state of British economy. The initial success of this policy was mainly due to very special circumstances, and was not accompanied by any serious attempt to foster a balanced deflation of the whole economic structure needed to attain sustainable equilibrium in the longer run. Key words: the Thirties; British monetary policy; monetary illusion. The article amends the theses supported by Tagliabue and recalls those advanced in the article written, again by Francesco Vito, in 1931 (‘‘The Question of High Wages and a Proposal by J.M. Keynes’’, RISS, pp. 194-203). The author maintains that the English crisis regarded the conditions of inefficiency which had weighed down on English industry well before the war; he reports the data collected and analyzed by Loveday, according to which English exports saw the lowest growth among all the developed countries, the only exception being Germany. Vito contests the fact that the sterling returned at a too high value, and also that the price deflation policy was responsible for the crisis after 1925. But, according to the author, the main problem is high wages which, not being proportional to labor productivity, prevented production from being rationalized. Key words: British monetary policy; wages and labor productivity; Loveday; Rueff; Hayek. JEL Classification: B2, B22, E12. The article is based on Johan Akerman’s monograph Some Lessons of the World Depression (Stockholm 1931), and maintains that in order to understand the crisis, it is essential to use the framework of the Austrian school as refined by K. Wicksell. The crisis derives from the lack of an equilibrating factor, which should be the interest rate intended as the cost of capital, in the production process. Akerman does not manage to demonstrate why entrepreneurs continue expanding their enterprises – facing an increase in the loan interest rate – in the hope of higher profits. Vito wonders why entrepreneurs do not correct this mistake and offers an original response to the question. Key words: J. Akerman; economic theories and world depression; Wicksell; Hayek; Fanno; Sraffa; Robertson; Papi; fixed costs and variable costs ratio in enterprises. JEL Classification: B2, B31, D2. This article was written following the Gold Standard suspension by the United States in March 1933. The author discusses the correlation between the sharp decrease drop in the price of goods and the parallel increase in the price of gold, suggesting that the these processes are rooted both in the use of gold as true currency, rather than as a standard of value for all national currencies, and in the huge demand for gold as a store of value in times of uncertainty. The author proposes the institution of a Gold Bullion Standard, with the issue of legal tender money still regulated by gold possession; actual circulation and convertibility of gold should however be banned and gold should be used as a medium of international exchange only. Moreover, he points out the need for the establishment of a system of multilateral clearings in order to restart international trade and foster economic recovery on a sounder basis. Key words: national and international monetary policies. The article is a commentary to Paul Einzig’s book The Comedy of the Pound Sterling. The article heavily criticizes British monetary policy after the flotation of the pound in September 1931. More generally, it takes a critical stance against the Gold Exchange Standard. The multicentral nature of the international financial system and the use of exchanges instead of gold in international settlements considerably worsened the world economic situation. Stronger cooperation between central banks, together with the restoration of a full-fledged Gold Standard and a sound fiscal policy are depicted as the only means to restore trust in the world markets and foster a durable recovery. Key words: international economic policy; Einzig; Gold Exchange Standard. The author offers an overview and an overall interpretation of the various policy measures and programs composing in the New Deal launched by the newly appointed American President Franklin D. Roosevelt. A theoretical basis and clear objectives underlie the New Deal economic policies in their entirety. Supported by deep knowledge of literature and concrete experiences attested by unpublished documents, the article focuses on Veblen, technocracy and planning (Soule, Chase), under- consumption and income inequality (Foster and Catchings) pragmatism and quantitative studies (Mitchell), public expenditure (Hansen, Mitchell), scientific management, industrial coordination, social activism, and the leading position of J.M. Clark from Columbia University where originated the ‘‘Brain Trust’’. Vito analyzes furthermore the contribution by Tugwell, Slichter, Hamilton, Hansen, Paterson, and Lorwin. The needs for social reform and social control on economic activity prevail over the need for cycle stabilization related to monetary policy: Monetary stabilization does not work by itself if not in the short term, and therefore managed currency experiments have to be subordinated or functional to managed economy. The author also deals with the issue of high wages, which he positively evaluates when part of a policy of wealth redistribution, production coordination and re-equilibration between the various sectors. Key words: New Deal; Veblen, Soule, Chase, J.M. Clark, Tugwell, Slichter, Hamilton, Hansen, Paterson, Lorwin; managed currency/managed economy; high wages policy. JEL Classification: B2, B25, B31. The article examines the global economic recovery by breaking data down by geographical areas, thus identifying new elements, such as expansionary monetary policies and public works, competitive devaluations, protectionist policies and rearmament policies. In the author’s opinion, prospects appear uncertain due to the worsening of international political relations. Key words: economic recovery, International Politics.